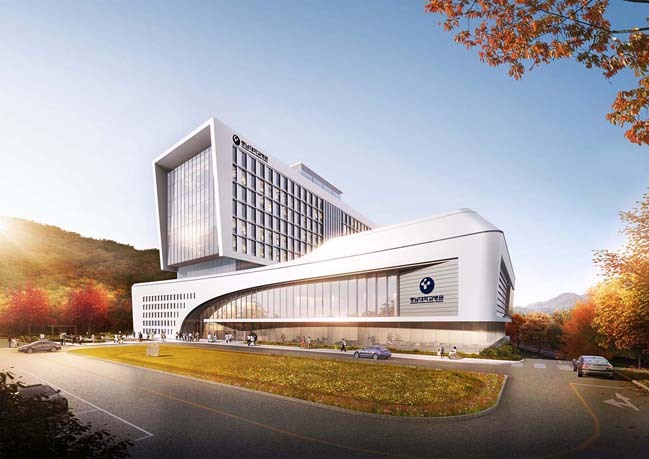 The Sejong Chungnam National University Hospital designed by Heerim Architects to offers a new vision of advanced medical care and natural healing. 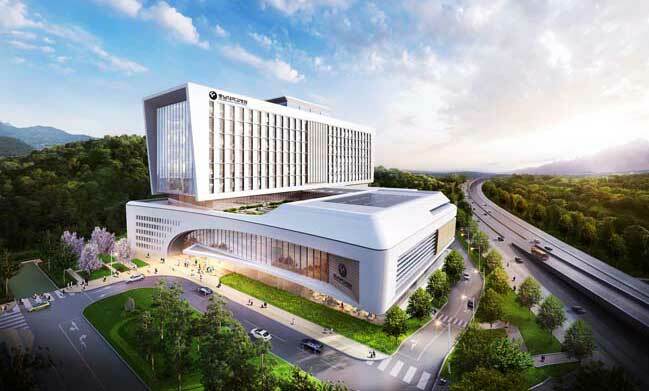 Project's description: The hospital wards and departments are planned to ensure 100% of natural view of surroundings including neighborhood, waterside parks where a pleasant healing environment is created with consideration of the environment-friendly functionality of ward room mass and facade design. 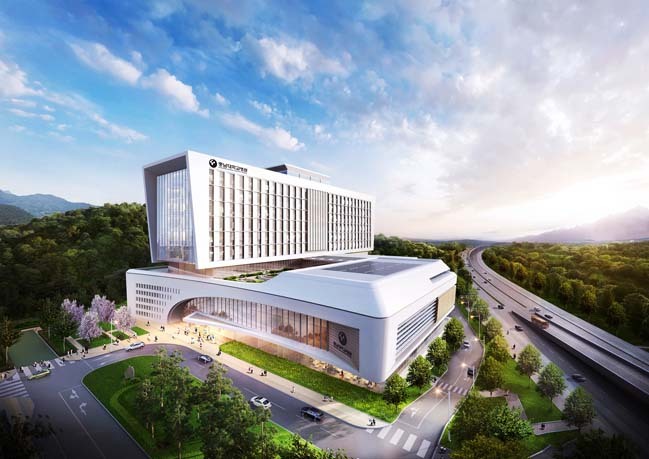 In addition, the vision of Chnugnam National University Hospital aiming for the medical innovation is reflected in the design by breaking the existing image of hospital and grafting an elegant streamlined curve containing the flow of surrounding river and park into the mass design. 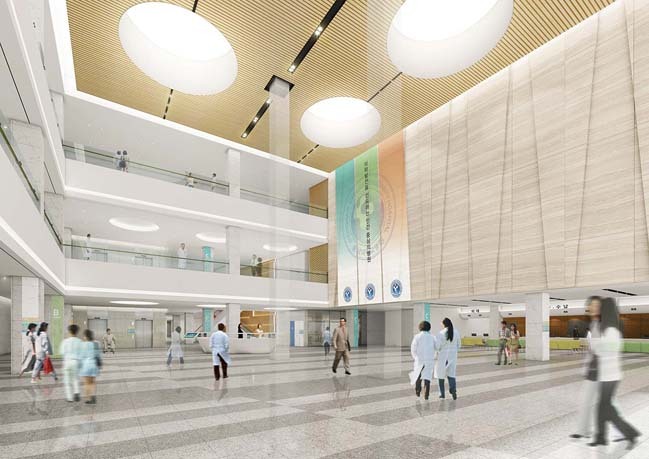 Lower level of hospital is divided into outpatient and central clinics centered on Hospital Street to ease the wayfinding for visitors as well as a rooftop garden is created to provide the best healing environment both inside and outside of hospital. 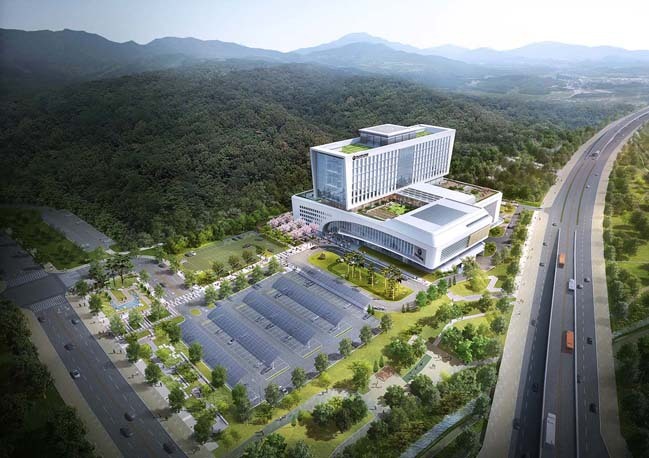 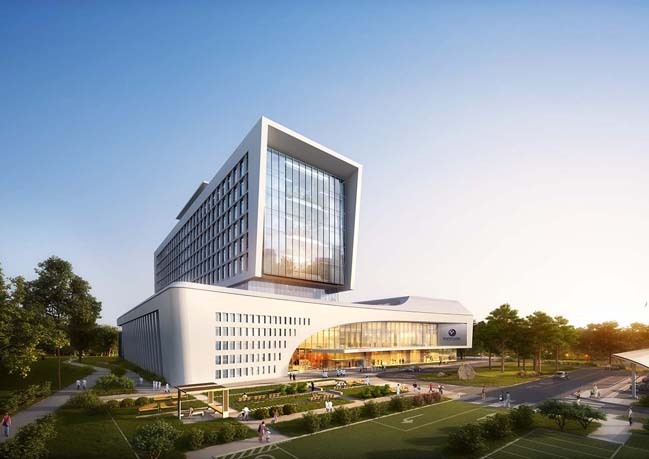 Sejong Chungnam National University Hospital is the first premium general hospital in Sejong City with the design focused on patient-oriented building and the blend between cutting-edge technology and nature, which will perfectly play a role of regional hospital. 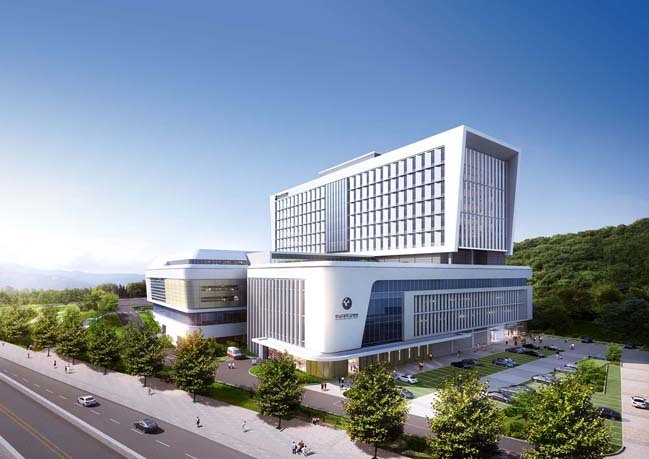 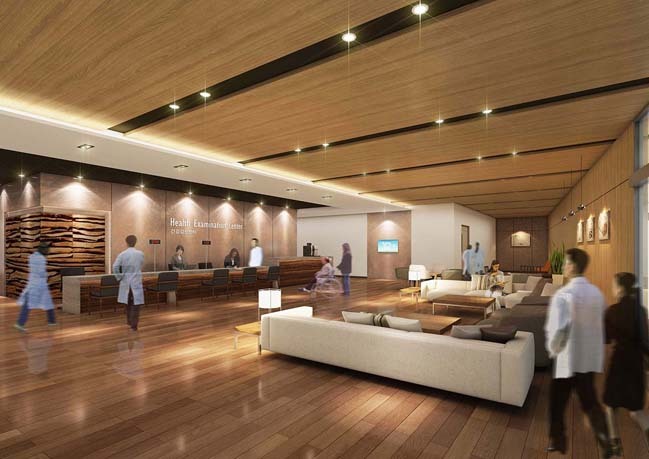 Heerim received high praise from the judges for its excellent planning and design ability and the project of Sejong Chungnam National University Hospital is expected to present a new paradigm of hospital design.